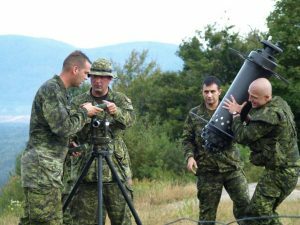 “It’s a great time to be in DLR,” said Colonel Nicolas Pilon as he settled into a chair in his office overlooking the Gatineau hills. The statement is ear-catching, if only because it is one very few Directors of Land Requirements have uttered in recent years. Reduced or deferred funding and a lack of personnel have slowed or halted numerous Army capital equipment programs, forcing DLR to repeatedly adjust timelines and re-evaluate options. But the release in June of the federal government’s defence policy, Strong, Secure, Engaged, has breathed new energy into the directorate. The policy outlined 15 Army-specific initiatives, including 10 broad equipment-related programs, and committed $18.9 billion over the next 20 years to fund them – $8.8 billion for new projects and $10.1 billion to complete existing projects. For DLR, that translates into roughly 28 new projects to be delivered over the next 10 years. The Department of National Defence will produce a new investment plan before the end of the year detailing priorities and funding allotments, but Pilon said the directorate already has a “clear idea” of the money and key targets for the next three to five years. The defence policy comes as the Army is approaching Waypoint 2018, a key benchmark set in 2015 to gauge the progress of its future force employment concept, called Land Operations 2021. Known until recently as Adaptive Dispersed Operations (ADO), the concept is premised on a network-enabled force connecting soldiers, sensors, platforms, support systems and commanders. Despite the name change, the main thrust lines of Waypoint 2018 remain: a tactical focus – primarily at the brigade level – to develop the Army’s C4ISR, enablers, sustainment, and combat vehicle capabilities to meet the demands of adaptive and dispersed operations. Several major projects are well underway, Pilon said, but DLR is just starting to identify and field the systems that could dramatically transform the Army into a much more capable digital force. And the cornerstone to the connected soldier is C4ISR (command, control, communications, computers, intelligence, surveillance and reconnaissance). The acronym has become military-speak for all things networked, but for the purposes of project management DLR has kept C4 and ISR as distinct lines of delivery. The backbone of command and control will be the Army’s Land Command Support System (LCSS), which is undergoing a life extension project that will eventually connect the brigade from its headquarters down to the vehicle platforms. The project, which is about a third complete and involves contracts with multiple companies for hardware, software and systems integration, will also increase bandwidth and deliver satellite-on-the-move to better transmit information in near-real time. 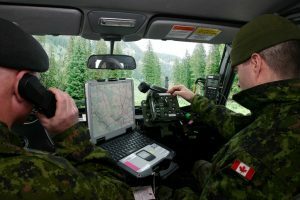 Simultaneously, the Army is modernizing its radios under a project known as Combat Net Radio Enhancement (CNRE). General Dynamics Mission Systems, in collaboration with Rockwell Collins Canada and SigmaPoint Technologies, is replacing the cryptographic and data transmission modules in the radios to improve crypto and provide the digital means to transmit voice, text and positional awareness reporting. The project will also upgrade the radio interface in almost 11,000 vehicles. Related to both LCSS and the CNRE is a battle management software tool to improve command and control to the combat team that the Army will validate in an exercise later this fall. Known as the Tactical Battle Management System (TBMS), it will allow commanders with a tablet to plug into a vehicle on the LCSS network and see the location of other platforms, share blue situational awareness, and draw or write tactical orders overlaid on real-time maps. 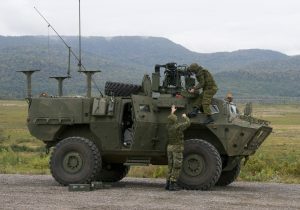 The Army will also modernize its Airspace Coordination Centre (ASCC), a LAV-like platform “that needs to be able to integrate the entire air picture, gather and fuse all the different feeds and then push critical information through LCSS to command and control nodes,” said Pilon. 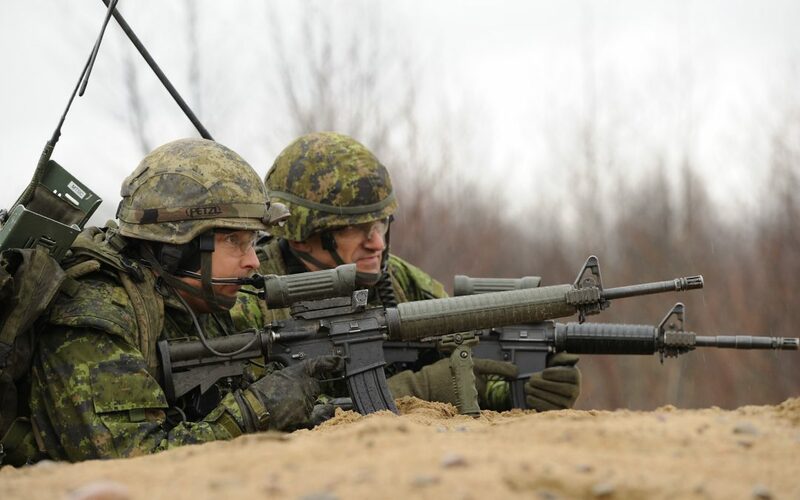 As well, 21 Electronic Warfare Regiment will modernize its communication systems and platforms with a new suite of tools to better influence the electromagnetic spectrum and protect Canadian Army radio networks. “We’re still some time from delivering that one, but it will be a key piece,” said Pilon. Additional STA capabilities include upgraded software for the lightweight counter mortar radar (LCMR), which will enhance the air threat picture; and an upgrade to the man-portable surveillance target acquisition radar (MSTAR) for forward observation officers and the upgraded LAV reconnaissance surveillance suite (LRSS) vehicle. “Some of the MSTARs will be going to our Reserves as they get better integrated into the field force,” Pilon added. On the intelligence front, under a project known as ISTAR C2, the Intelligence Regiment will receive new hardware and software tools to improve processing, including lab shelters to analyze biometric and other intelligence information; and the Armoured and Infantry reconnaissance units will field patrol kits with cameras, high bandwidth radios, GPS and laser range finders to transmit data in near-real time to command and control nodes. As part of a broader effort to align a family of land combat systems with a field force structured for adaptive dispersed operations, DLR is also determining the network requirements for every new combat vehicle fleet. As of October, the Army had received the first 409 of 550 upgraded LAV 6.0 and about 50 percent of a new fleet of 500 Tactical Armoured Patrol Vehicles (TAPV). It will soon field new combat support vehicles (Medium Support Vehicle System), armoured engineer and recovery vehicles, reconnaissance surveillance vehicles and, further down the road – and the top equipment priority of the Army commander – modern logistics vehicles. That includes accounting for the weapons effects simulation (WES) training system that must be integrated into each fleet to provide a realistic reaction during exercises. Finally, as the Army further refines its Light Force capability, DLR has the task of ensuring the infantry battalion has the portable communications systems to sustain reach while remaining networked. Over the past two years, the Light Force enhancement project has focused on their structure and roles. Now it’s shifting to equipment. While the Light Force won’t be tied to a specific platform, DLR has conducted trials with a Polaris Defense MRZR-D, acquiring 36 of the 4×4 turbo diesel utility vehicles and 12 tactical trailers through a buy-and-try. But its primary focus is on portable communications systems and other components such as night vision and weapons-related equipment. Most of these C4ISR-related projects have been in development for many years and despite a new impetus from the defence policy, key ones like LCSS, CNRE, and TBMS will take several more years to completely field, Pilon noted.